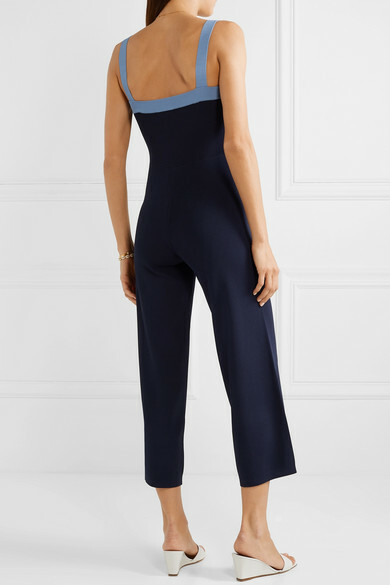 Jumpsuits are an effortless way to look chic and put together. 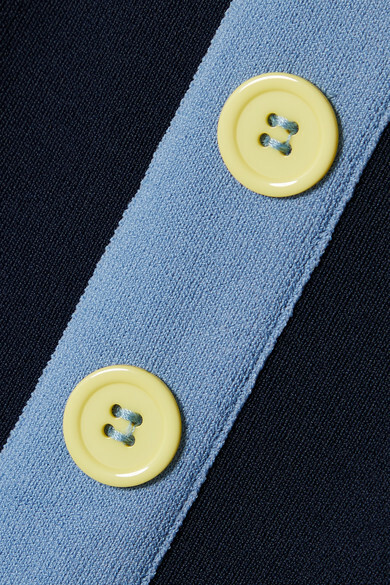 STAUD's 'Scotch' style is made from navy ribbed-knit that hugs your curves and has light-blue trims outlining the square neckline and row of button embellishments. The wide legs hit above the ankle. Wear yours to casual brunches with sandals. Shown here with: STAUD Tote, STAUD Sandals, Chan Luu Cuff, Alighieri Necklace, Alighieri Earrings, Alighieri Necklace, Isabel Marant Bracelet.